You guys all know that I love baking a sweet treat or two, but I bet you didn't guess that I was going to make something savoury as part of my Christmas bakes! Now, I don't know if this is just a Northern thing, but sausage rolls are practically a staple up here and I realised a few months back that I'd never made any in my entire life. I don't know why because my mum makes them quite regularly and says they're pretty easy to do, I just think I thought I wouldn't be very good at it. But when I was planning my Christmas bakes, it dawned on me that I'd never seen a Christmas-themed sausage roll, and so these babies were born. 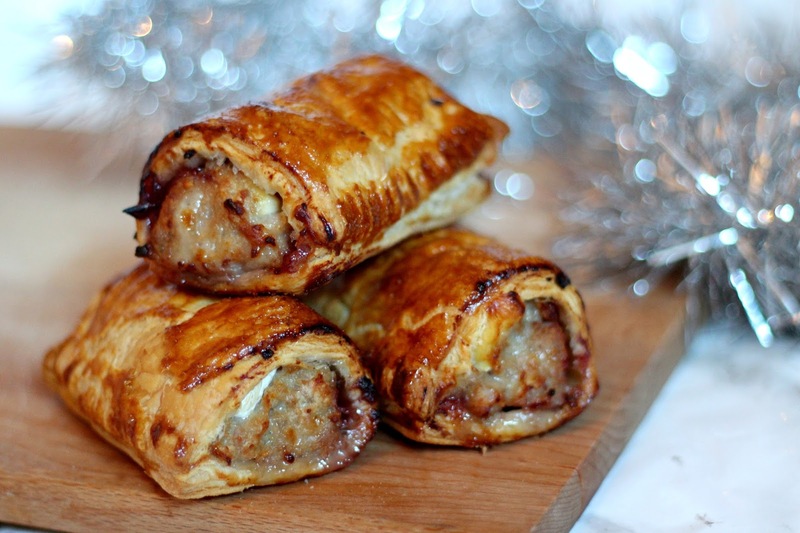 You might be wondering what exactly makes these sausage rolls Christmassy. 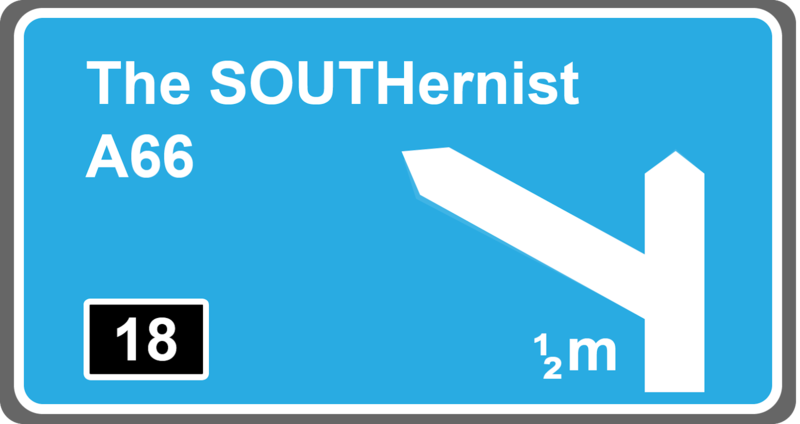 Well, what is the one thing that seems to go hand-in-hand with all things Christmas? Cranberry sauce. 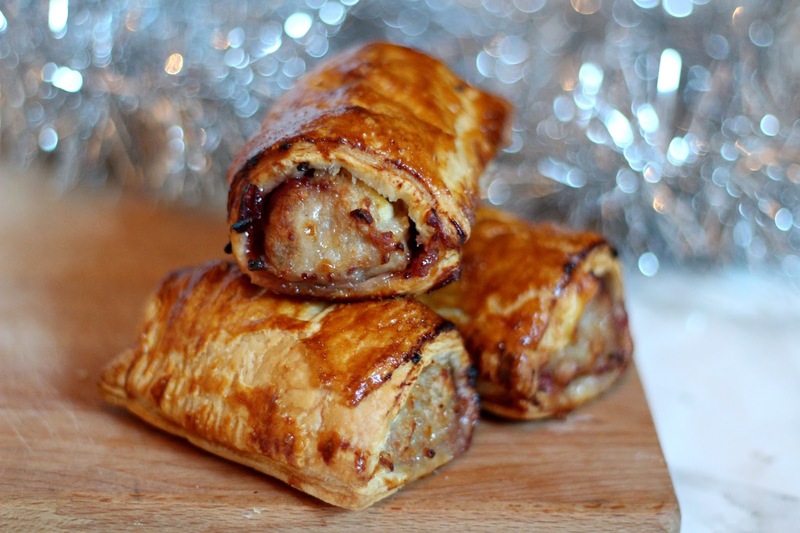 I gave each one of these sausage rolls a generous smothering of the stuff on the inside before baking them, giving them a little bit of sweetness in every bite. I also chopped up a load of Brie (a.k.a. the cheese of Christmas) and layered that on top of the meat, so you have gooey, cheesy goodness hidden under the pastry. Originally, I had planned on using turkey mince because it's not Christmas without a turkey, but I find turkey meat to be a little bit bland. I wanted something punchy and delicious for this recipe, and turkey wasn't really going to cut it, so I went with pork sausage meat. I know what you're thinking, 'pork isn't punchy,' but I threw in some extras to give it some depth. I added a little bit of garlic, parsley and salt to up the savoury flavour and contrast against the sweet cranberry, but I also added in orange zest and just a pinch of cinnamon. 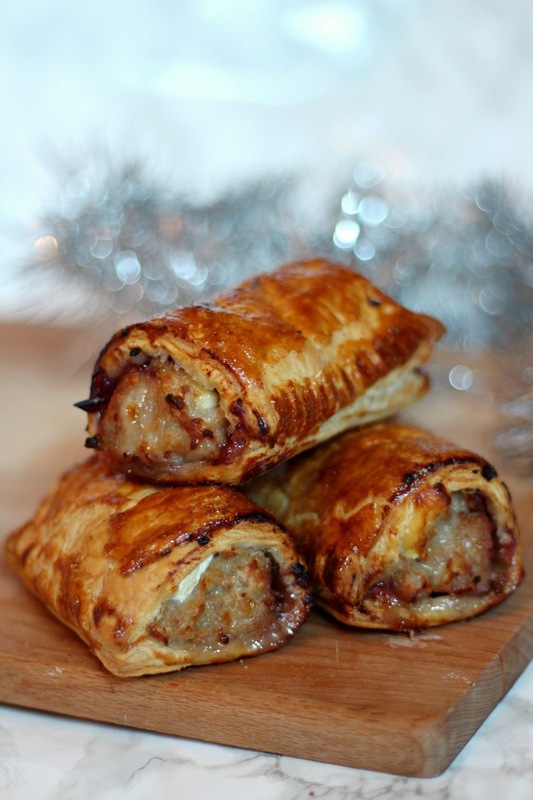 These are Christmas sausage rolls after all! I didn't add in so much of these two that they were overwhelming, but they were just hints of flavour to complement the overall flavour. If you wanted to use turkey mince for this recipe, you absolutely could, but I'd recommend adding a chicken stock cube in, just to deepen the flavour a little. Preheat your oven to 200c/180c fan and lightly grease a baking sheet. Squeeze your sausage meat into a large bowl. If your using the meat from inside actual sausages, be sure not to include the skins. Crush or finely chop your garlic clove and add in with the orange zest and cinnamon. Season the meat with parsley, salt and pepper to your liking, then set the bowl to one side. Lightly flour your clean surface and unroll your pastry on to it. Cut the pastry in half lengthways and using a teaspoon, spread cranberry sauce down the middle of each half, being sure to leave plenty of room on either side. Don't use too much, otherwise it'll leak out when baking. Divide your sausage meat in two and spread each along the length of the pastry on top of the cranberry sauce in a cylindrical shape. Then chop your Brie into slices and lay on top of the sausage meat. Brush one edge of the bare pastry with beaten egg, then fold the other bare side over the sausage meat to meet it, encasing the sausage tightly inside. Use a fork to press down on the pastry edges and cut any excess away with a knife. Repeat with the other pastry sheet. Using a sharp knife, cut each roll into 4 and poke two slits in the top of each one to release the steam while they bake. Brush beaten egg over each one, then bake in the oven for 25 minutes or until golden. Remove them from the oven once golden and allow them to cool for a few minutes before serving them up warm. I honestly had no idea how these guys would turn out and I was a little worried about the cheese and sauce leaking, leaving me with a burned mess. But they worked so so well, and they taste phenomenal. Even J, who had no idea if he liked cranberry sauce or not, loved them and helped himself to two! Now that I know how simple sausage rolls are to make, maybe I'll make more. I'm thinking about pork and apple ones next... yum! Oh my god, coming across this post just before you're having lunch is never a good idea! They look unbelievable!